IT IS HERE! ALICE THROUGH THE LOOKING GLASS is now in theaters everywhere! 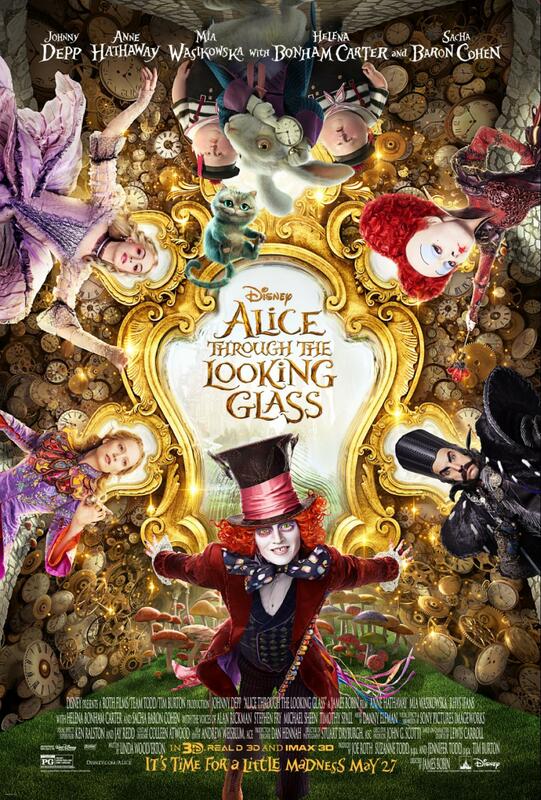 In Disney’s “Alice Through the Looking Glass,” an all-new spectacular adventure featuring the unforgettable characters from Lewis Carroll’s beloved stories, Alice returns to the whimsical world of Underland to save her friend the Mad Hatter. 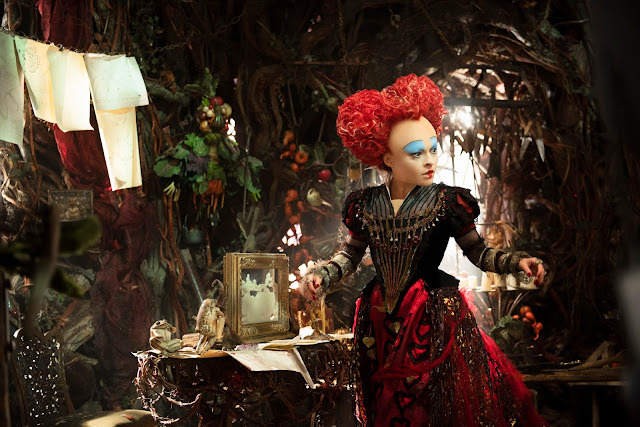 Directed by James Bobin, who brings a unique vision to the spectacular world Tim Burton created on screen in “Alice in Wonderland,” the film is written by Linda Woolverton based on characters created by Lewis Carroll and produced by Joe Roth, Suzanne Todd and Jennifer Todd and Tim Burton with John G. Scotti serving as executive producer. Alice Kingsleigh (Wasikowska) has spent the past three years sailing the high seas. Upon her return to London, she comes across a magical looking glass and returns to the fantastical realm of Underland. Reuniting with her friends the White Rabbit, Absolem, the White Queen and the Cheshire Cat, Alice must save the Hatter and Underland itself, before time runs out. 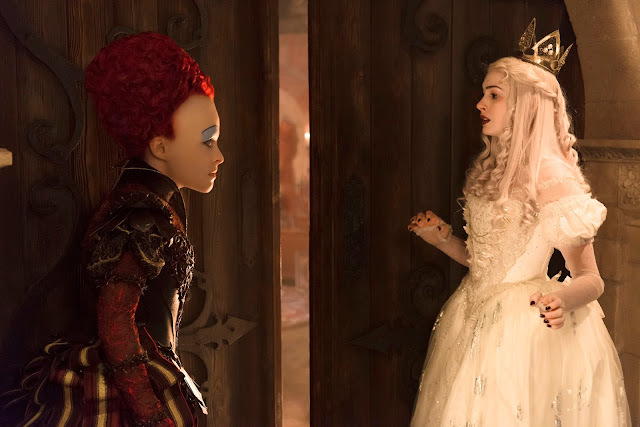 Presented in Digital 3D™, Real D 3D and IMAX® 3D, Disney’s “Alice Through the Looking Glass” opens in U.S. theaters on May 27, 2016. I have some movie stills to share with you to get you even more excited! 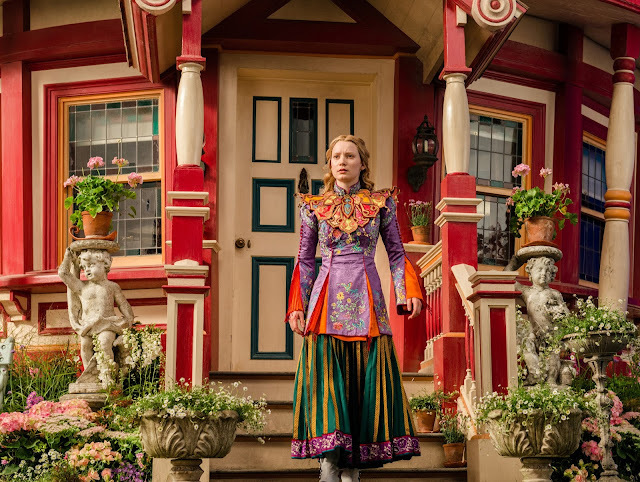 Be sure to visit the official ALICE THROUGH THE LOOKING GLASS site here. You can also visit their social channels to stay up to date with the latest on things! Thanks for reading!